MK Yehuda Glick tours eastern Jerusalem, calls for government to end illegal Arab construction. 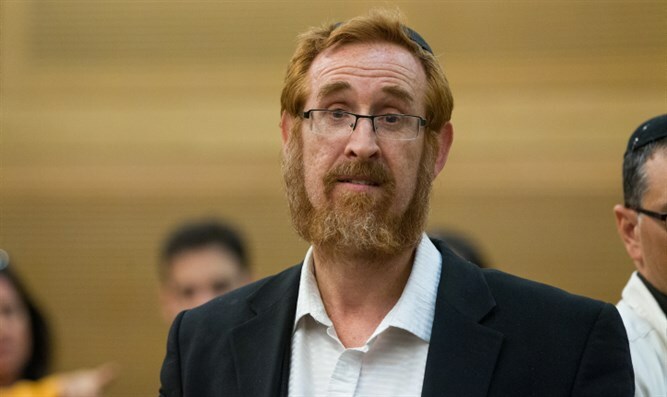 MK Yehuda Glick (Likud) toured several neighborhoods in eastern Jerusalem Wednesday, and spoke with Arutz Sheva about the disturbing situation he encountered. "I visited Qalandiya, Shuafat, Jabel Mukaber - and everywhere there is no law or judge. There is disregard for the law. They build high-rise towers through illegal construction without paying property tax. "The State of Israel must stop this Wild West-like situation in Jerusalem, and it is not only Arabs which are building illegally, but during the tour I saw that the UN is also building on state land and illegally. This situation can not go on," Glick declared. He responded to the claim of Arabs and left-wing organizations that because there is no planning and that the state does not build houses for them, which forces them to build illegally. "The state does not build for anyone. There are apartments for families and there are housing problems in both the Arab and Jewish populations ... It is not possible that the Jews are not building illegally - and the Arab population is building illegally at unimaginable levels and no one speaks. out." He also discussed the situation in Syria. "As Jews who are about to celebrate the Passover holiday, we are commanded, 'You know the soul of Hagar,' but we do not suggest that Israel intervene in the security situation of Syria. But I do suggest that Israel lead those who are arousing the whole world [to end the suffering in Syria]. Where is Russia, the United States? Where are the countries of the free world, who will end the shocking images of every human soul - and certainly of the Jewish soul?"